Hastelloy isa registered trademark name of Haynes International, Inc. The Hastelloy trademark is applied as the prefix name of a range of corrosion-resistant metal alloys under the material term “superalloys” or “high-performance alloys”. Withincorrosionapplications Hastelloyalloys areoftenchosen due totheir relatively attractive price/performance ratio.In manycorrosion mediaonly Tantaline showsa dramatically better cost/performance ratio than Hastelloy. The predominant Hastelloy alloying ingredient is metal nickel. Other alloying ingredients are added to Hastelloy includinvarying percentages of the elements molybdenum, chromium, cobalt, iron, copper, manganese,titanium, zirconium,aluminum, carbon, and tungsten. The primary function of the Hastelloy alloys is that of effective survival under high-temperature, high-stress service in a moderately to severely corrosive, and/or erosion prone environment. Hastelloy alloys are used for many applicationsincluding pressure vessels, nuclear reactors, chemical reactors, as pipes and valves in chemical industry. 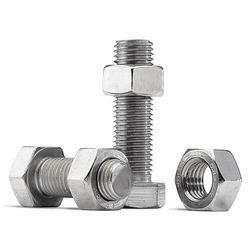 We manufacture and supply a wide range of supreme quality Hastelloy Bolts. known for their corrosion resistant attributes, these bolts are manufactured in adherence to the industry laid norms by using advanced machinery. These bolts are rigorously checked by our team of quality controllers, to ensure a defect free range. The unique features of this Hastelloy product are resistant to high temperature, high corrosive resistant, inexpensive etc. For these characteristics, they are commonly used in industries like nuclear, chemicals in automobiles etc. We manufacture and supply a wide range of supreme quality Hastelloy C22 Hex Bolts. known for their corrosion resistant attributes, these bolts are manufactured in adherence to the industry laid norms by using advanced machinery. We are instrumental in offering optimum quality Hastelloy Fasteners to our valuable customers. These hastelloy fasteners are manufactured as per the industry set norms. 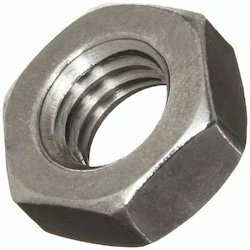 We are instrumental in offering optimum quality Hastelloy C276 Hex Nuts to our valuable customers. 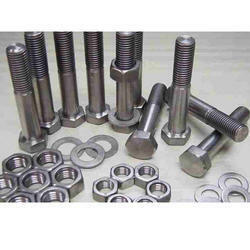 These Hastelloy fasteners are manufactured as per the industry set norms by using advanced machinery. 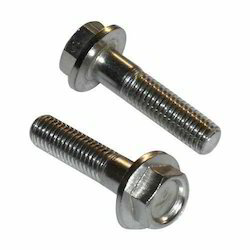 Owing to their robust design and flawless finish, these fasteners offered by us are highly demanded in the market. 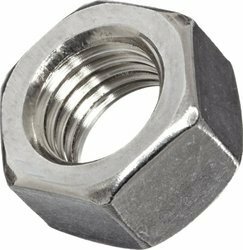 Hastelloy C-22 Hex Nuts is extremely resistant to corrosion in oxidizing and reducing environments. C-22 has shown an outstanding resistance to a wide range of chemicals, including chlorides, organic and inorganic solutions. In addition to having exceptional corrosion resistance, Hastelloy C-22 can also be readily fabricated. It exhibits superior welding conditions, providing excellent as-welded conditions for process applications in chemical-based industries such as food, beverage, personal care, and pharmaceutical. ASTM A453 Gr.660 Heavy Hex Nut 1.3/4"